Is the primary latch in the open position when you try and close the hood? can you adjust the height of the primary hood latch? it is bolted to the center support beam of the core support by 4 bolts. I always try to think things through too much so you could tell me if this is in the open position. The piece that has the red circle around it I can push down with a screwdriver and then release it from inside the cab. I have tried to adjust The primary bolt latch both all the way up and all the way down and it doesn’t seem to make a difference Other than raising the hood up above the fenders. It’s like it can’t catch. It looks like the latch may already be Closed. See if you can make it Open so that it catches on the hood. Do our hoods have a removable hoop on the hood(I am being too lazy to go out in the dark/rain to look)? I feel like have to be close to having that AH-HA moment to finding this issue. I will check tomorrow if the hoops are the same, I believe they are. The hoops are welded on. I will also check to see if it has a bend in it. I put a dap of white out on the hoop earlier today and couldn’t see where it made contact on the latch. Still having problems with the primary latch. I noticed this and wonder what you all think. 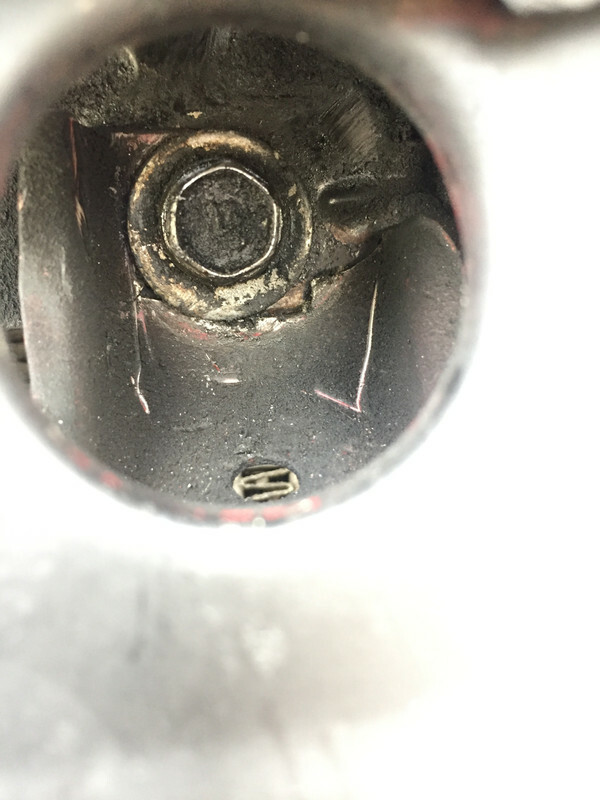 This is the bottom bolt that holds the hood catch. You can see it looks like it’s eaten up or is that the way it is ? Would that have anything to do with the latch not catching? Last edited by Tropicalcats; 05-21-2018 at 06:09 PM. 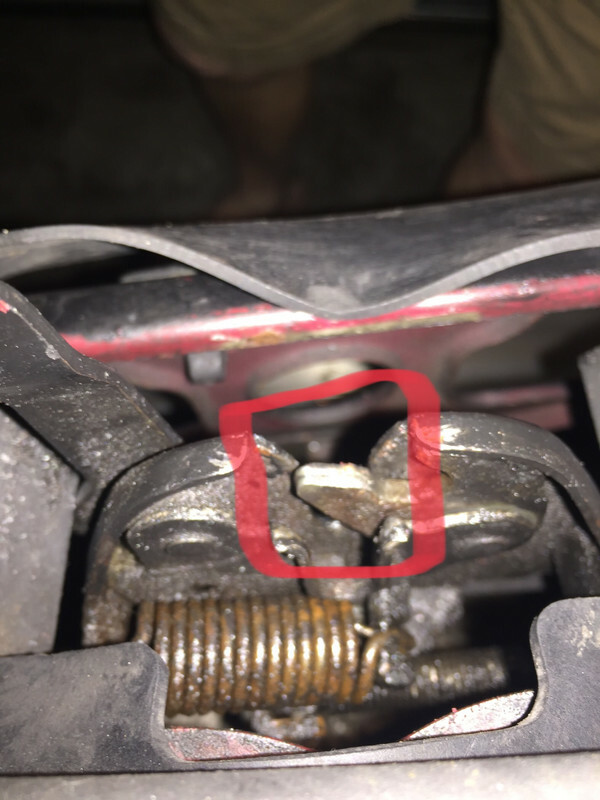 It looks like the metal the bolt goes into is messed up. If that bolt locates the latch mechanism, it certainly could affect how the latch fits. Anybody got a good picture of how the latch mechanism on a 95 D21 looks. I have pictures of the 3 bolts. The bolt at the bottom looks messed up. The hood I have on before this one had no trouble latching.